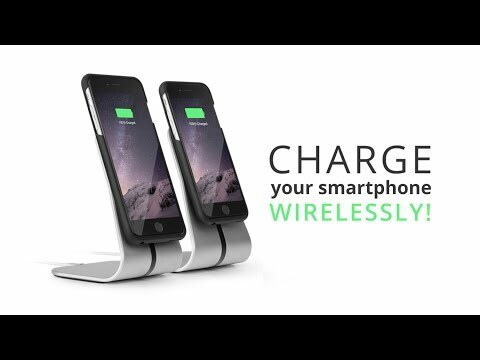 With Xvida Wireless Charging Office Kit you’ll be able to charge your iPhone wirelessly just as fast as with a traditional plug-in charger! Xvida Charging Stand makes it easy to attach and secure your device, letting you use it effortlessly during charging, in either portrait or horizontal orientation. To use, simply insert your iPhone in Xvida Charging Case and place it on the Charging Stand - your iPhone will start charging automatically!